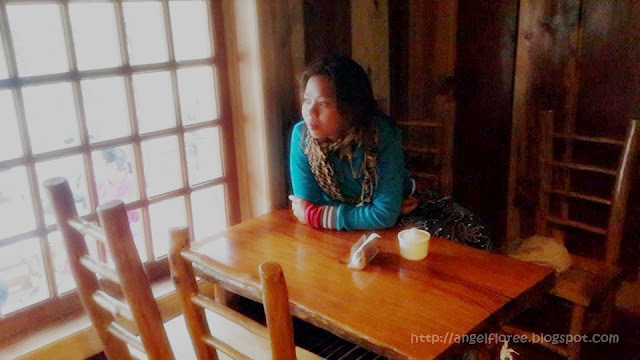 One of the country's gem in lush green trees, beautiful mountains and many natural scenic spots, the town of Sagada in the province of Mountain Province has been a new well commended travel spot in the Philippines for those who want to detoxify their minds from the noise and stressful environment in the cities. Aside from these wonderful natural treasures, the area also is a must visit for Food Bloggers because of the many delicacies and food houses to give a try. 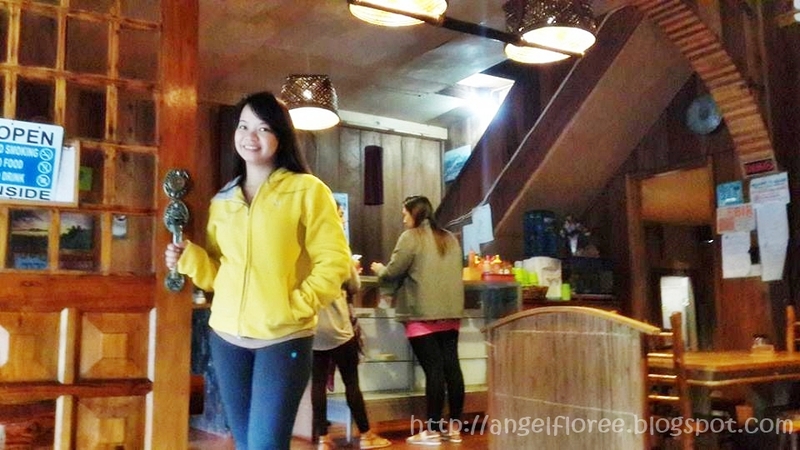 My friend Denise at the entrance. Look at those artworks and the woods! Having a cold climate contributes to growing many vegetables and fruits that makes it obvious that farming is one of the main production and livelihood among its people. One the many fruits that they are growing there are the Meyer Lemons; this species of lemons were just imported from the US then cultivated in the town. 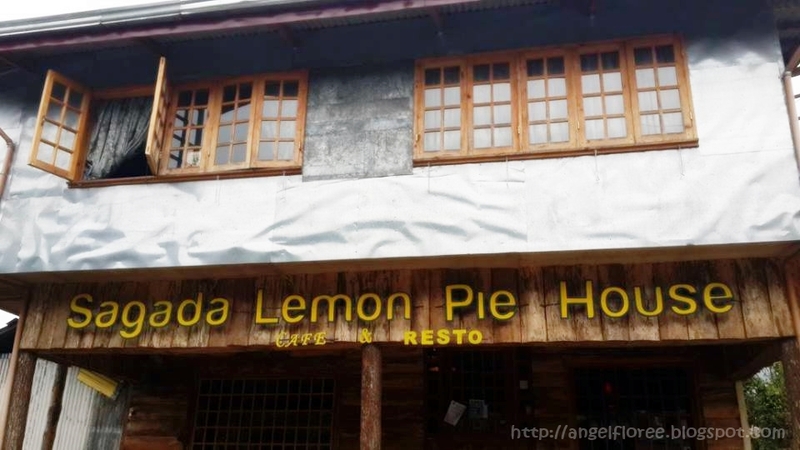 Joseph Daoas, son of an Ilocano woman, the one who formulated the recipe of the popular Lemon Pie then passed it on her son and a native of Sagada, his father Bartolome founded The Lemon Pie House in 2008 having its own public opening. My friend Angie feeling cozy. Those yellow lights are relaxing. 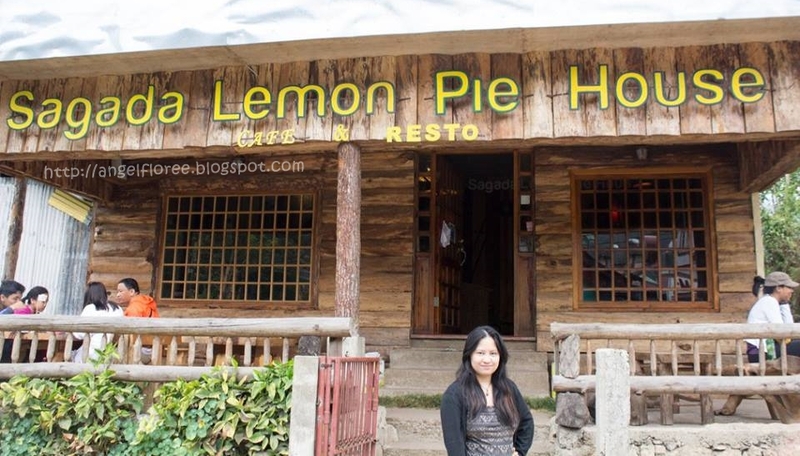 The restaurant has been very popular among tourist for it carrier delicacy, their Lemon Pie. 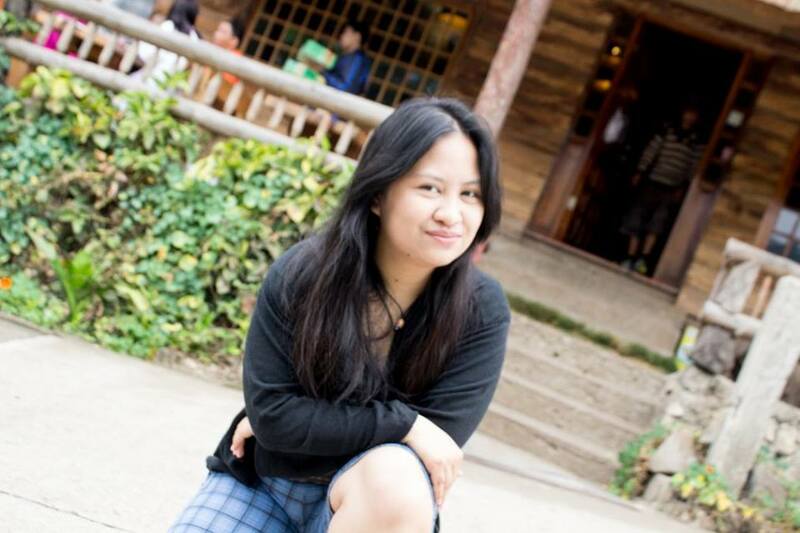 I am indeed very lucky to have tasted it when we had our vacation there. After anticipating the sunrise (which did not happen because of the cloudy skies) in Mount Kiltepan, we headed to the Lemon Pie House to eat breakfast. 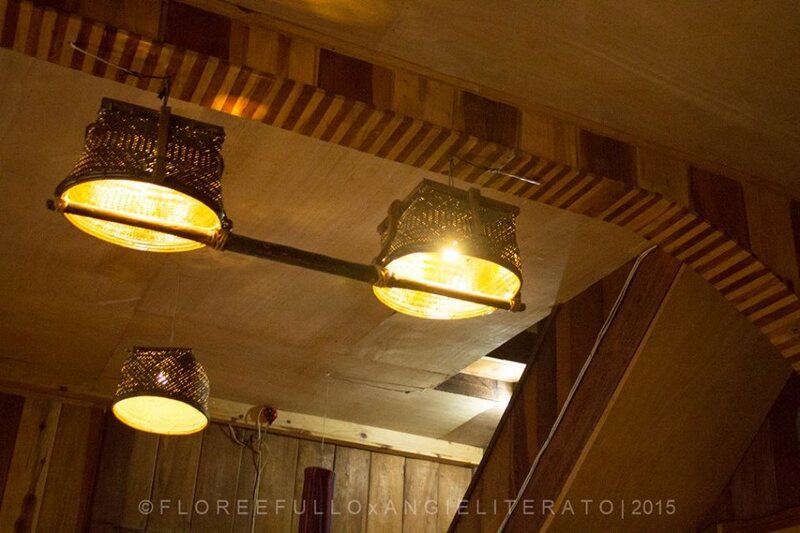 The ambiance is cozy, a little bit dark but the endearing yellow lights along with its shining floors and well crafted hard wooden furniture give a relaxing feel. 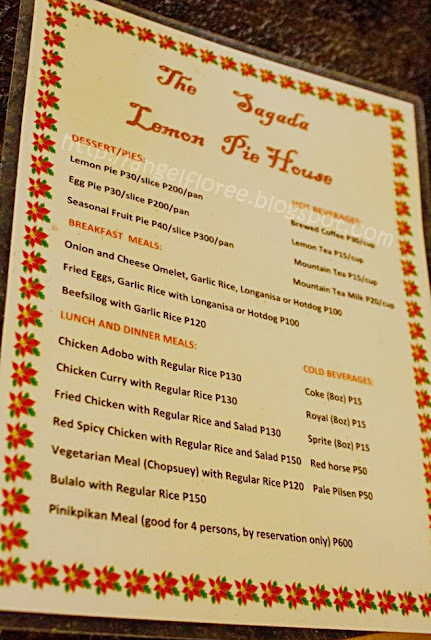 The menu at that time were mostly breakfast meal, I ordered Onion and Cheese Omelet with Garlic Rice, Longganisa and Hotdog all for 100Php, a reasonable price for the taste and the time of the day. Next time, when I come back, I should try their famous new Red Spicy Chicken. Lemon Pies! Oh so divine!!! 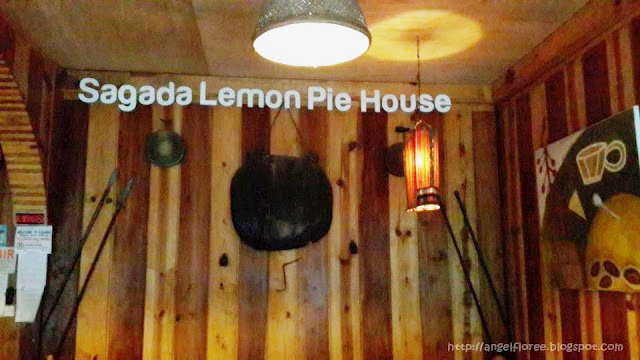 It was overwhelming to taste the Lemon Pie for the first time. There is a sour taste with a mix of sweetness for the pie was said to be made by citrus, obviously lemons so the taste was dominated by bizarre sourness making it unique. The texture is smooth in texture and the crust is tasty too because of the thick liquid. 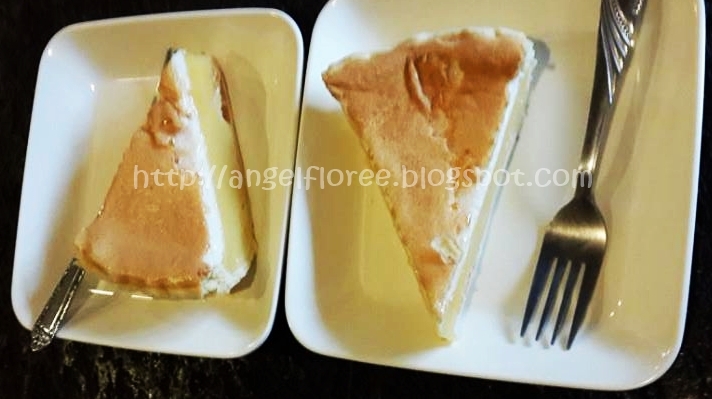 You can have a slice at 25Php and 180Php if you want a pan. Aside from this tasty Pie, there are also other pie delicacies like their Egg Pies and Blueberry Pies. For sure I will comeback!